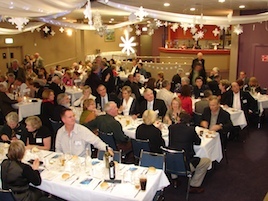 Kiama Alpine Club is a not-for-profit cooperative club operating a ski lodge located in Thredbo. The club is a share based cooperative with approximately 370 adult members (children under 18 years of age are not able to join as members in their own right, but are considered for membership upon turning 18 years of age if both parents are already members). The Club is currently not receiving applications for new membership. Except for membership applications from spouses of members and from 18 year old children whose parents are already members. From time to time the Club does consider applications for new members and when this is decided this would be announced. In the meantime, we welcome expressions of interest from friends who use the lodge.